This Electronic Parts Catalog (EPC) software covers Mitsubishi FUSO Truck Models for Europe, General Export, USA, Mexico, Japan through 2014. See full model list at bottom of page. 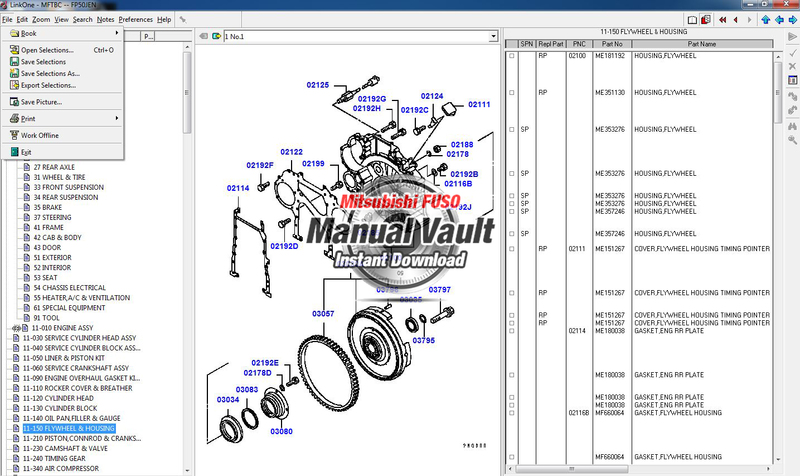 This software contains factory Mitsubishi part illustrations, part descriptions and part numbers. Conveniently look up parts by model number (no VIN search), search part names, and print off pages as needed. Includes software, installation instructions & license keys on a *** USB flash drive ***. Please note: This is dealer-issued software. We include installation instructions however technical knowledge and knowledge of electronic parts catalogs may be required to correctly operate it. No support or further updates to the parts catalogs are included. Updated through 12/2010. Contains factory Mitsubishi illustrations and part numbers. Look up parts by model number. Includes installation password. Please note: This is a dealer-issued software and knowledge of electronic parts catalogs may be required to correctly operate it. We can only provide basic installation support. Now that the ISO file is mounted as a virtual CD/DVD, navigate to it in Windows Explorer or My Computer. The drive will have the label “VOLH30320.” The drive letter will vary. Double click to explore. A settings menu will open. Keep the default settings and click “OK”. Your virtual CD/DVD drive will be automatically detected. 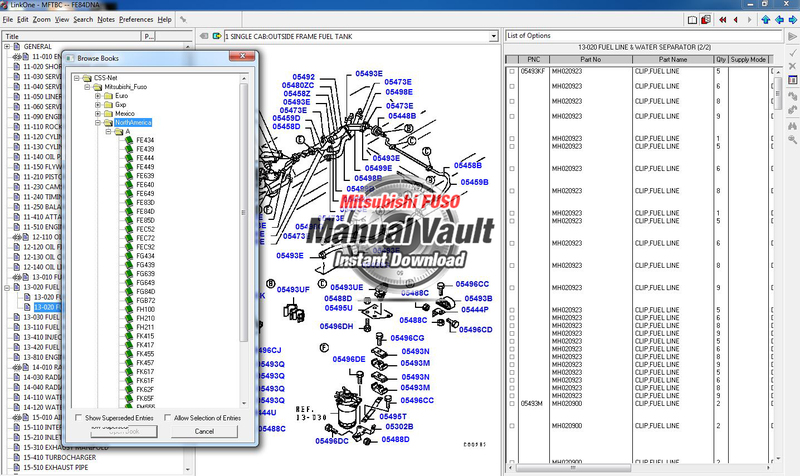 Open your Start Menu, select All Programs -> Mitsubishi FUSO CAPS to run the software. Alternatively, in Vista, 7, 8, 10 you can search for “FUSO” and the program icon will show in your Start Menu. After entering your model information and/or VIN number, double-click the text box next to the words “Illustration” to open the visual catalog.